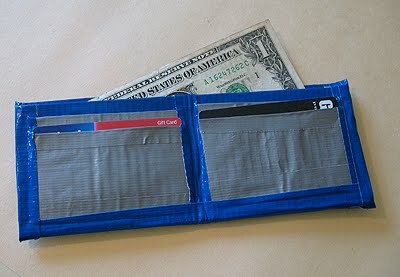 There are actually quite a few projects you can make from duct tape, today I’ll show you how to make a simple wallet. Duct tape is silver and available at Wal Mart, hardware stores and home supply stores. There’s also something called Duck Tape, which is a brand of tape that comes in a variety of fun colors, available from craft supply stores. 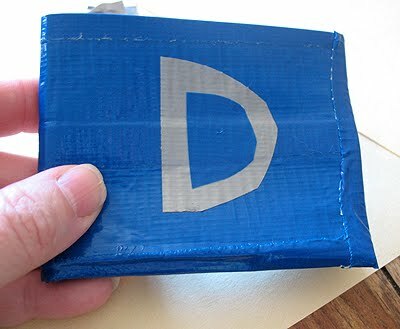 We actually used a combination of duct tape and Duck tape for our duct tape wallet. This would make an ideal Father’s Day gift! What’s really fun about this particular tutorial, is that this wallet was constructed in its entirety by an 11 year old girl. She learned how to make these by following a You Tube video she found. In fact, SHE showed ME how to make it, I just happened to have my camera handy! This project is now available in the Kindle library or via ebook download (see below). UPDATE: This post was first published in April of 2010. 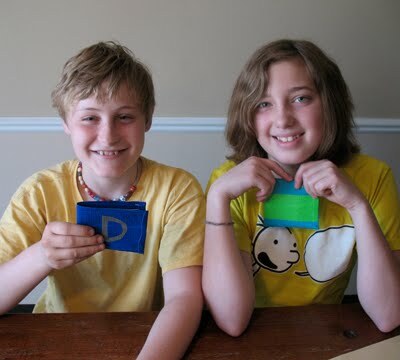 Cailin and Dominic are now in high school, and Cailin in still making wallets. In fact, the photo above is Cailin modeling for my book, Duct Tape Mania, which has over 40 duct tape projects! 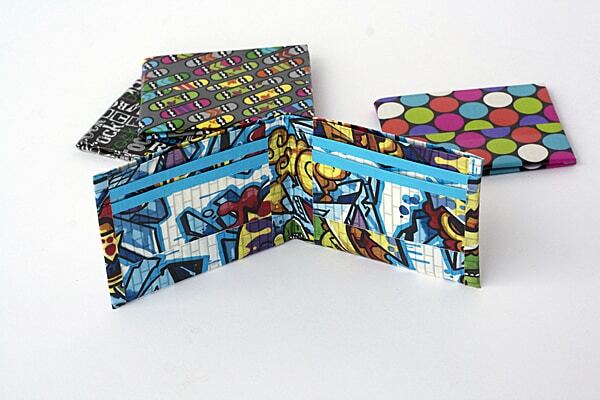 The photo below is a shot of a few of her cool wallets, one of which you’ll see in my book! Thanks again to Cailin for her help with this post. Click here to get it in the Kindle library for $2.99 (Download it and read it on your PC, Mac, iPhone, iPad, Android, Blackberry with the Kindle app.). 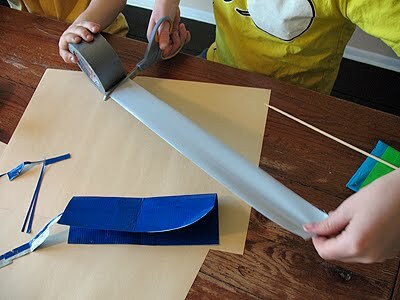 Cut 4 pieces of tape, about 10″ long, and lay them on the work surface, sticky side up. Connect them all together by sticking the top of the second one, to the bottom of the first one, then connect the third to the second and the fourth to the third. 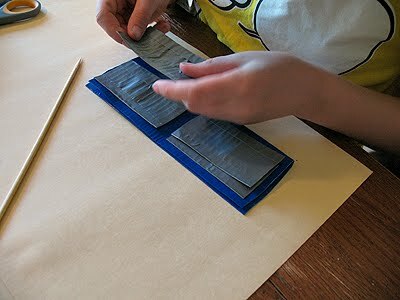 Cut another piece, the same length, and press it sticky side to sticky side, against the bottom strip of tape. Continue with 3 more strips until you have a solid sheet made of tape. 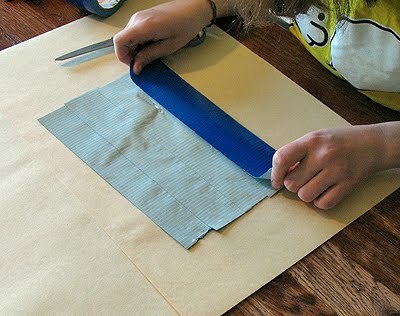 Use scissors to trim the ends. 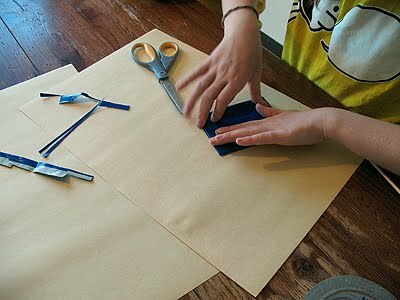 Fold the sheet in half to resemble a wallet shape. Fold it in half the other way to create a bi-fold wallet. If it’s too large for your liking, you can trim more off the ends now. Don’t trim too much, you will need room for credit card slots. 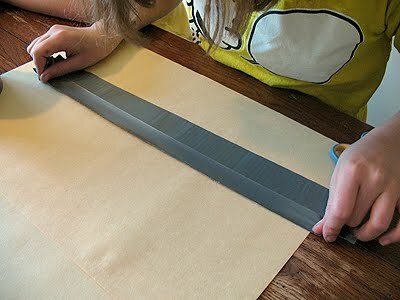 Cut a long strip of tape, about 18 inches long, and place it, sticky side up, on the work surface. 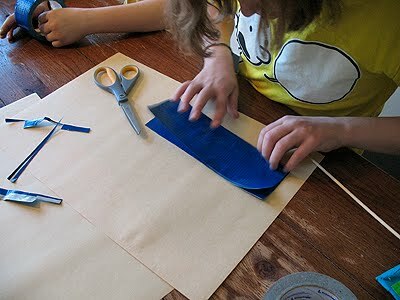 Cut another piece, the same length as the first, and tape it, sticky side down, onto the other piece (sticky to sticky). Cut another 18″ length and tear it in half lengthwise. 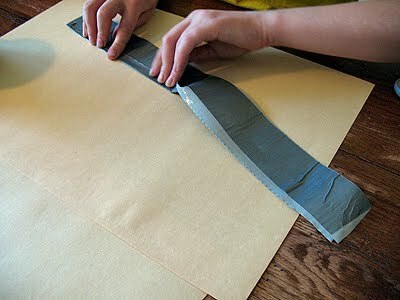 Set aside one half and use the other half to create a smooth top seam on your long strip of tape. Use the second half strip to do the other side. Trim the ends. Using a credit card or gift card as a measuring guide, Cut the length of tape into “credit card pockets”, leaving about 1/4″ on each side of the card. 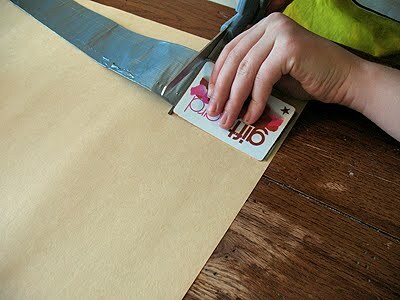 Set the card aside and use the first one that you cut to use as a guide and cut three more, for a total of four. 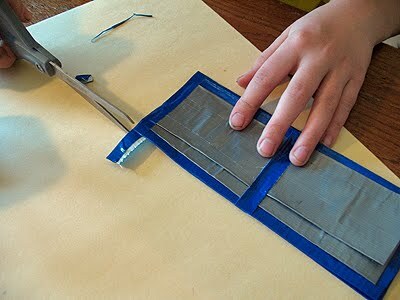 Cut a piece of tape a little bit longer than the length of your wallet. 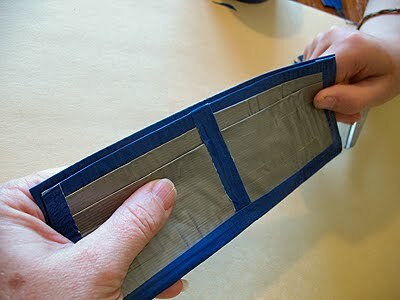 Tear the strip in half and create smooth seams on both sides by taping one side, then flipping it over and folding the tape over to the other side. 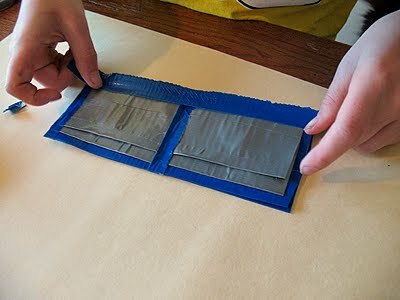 With the tape sheet folded in half like a wallet, place the four credit card pockets in place. Cut a piece of tape about 4″ long and tear it in half lengthwise. Press the tape up the center, covering the pockets. 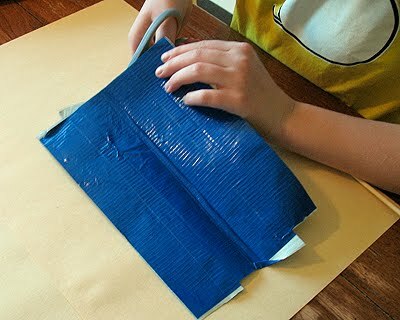 Fold the end of the tape over only one layer, you don’t want to tape your money pocket shut! Tuck it inside the wallet. 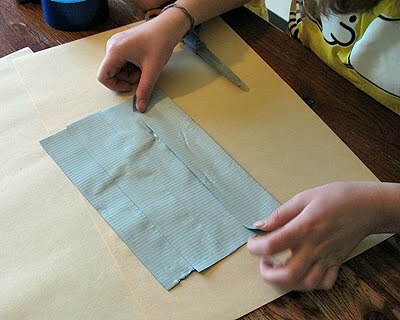 Use similar sized pieces to cover the outer edges of the pockets, folding over to secure. Use scissors to trim the ends. Put a strip of tape across the bottom to secure the pockets. Important: You will want to make sure that the back part of the wallet is slightly higher than the front so that when it is folded shut, it will look right. Make sure you have taped all your edges. 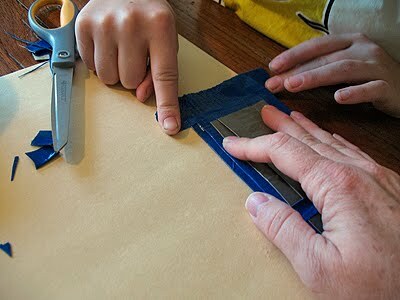 If necessary, use scissors to snip any closed tape at the edges of the paper-money pocket. That’s it! 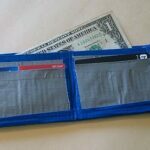 You just made a wallet completely out of duct tape (or Duck tape, whichever you chose to use)! Cut 4 pieces of tape, about 10" long, and lay them on the work surface, sticky side up. 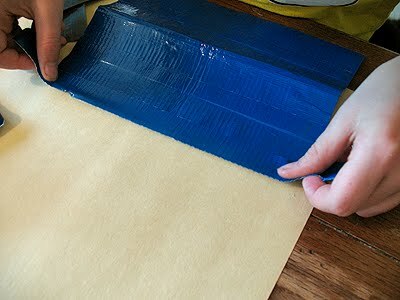 Cut another piece, the same length, and press it sticky side to sticky side, against the bottom strip of tape. 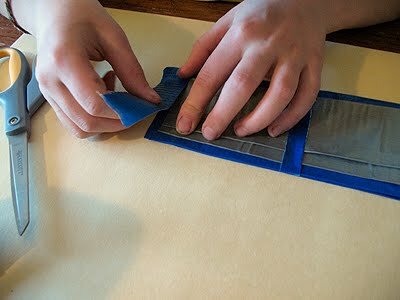 Continue with 3 more strips until you have a solid sheet made of tape. Use scissors to trim the ends. 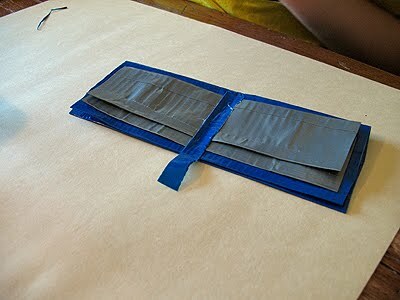 Fold it in half the other way to create a bi-fold wallet. If it's too large for your liking, you can trim more off the ends now. Don't trim too much, you will need room for credit card slots. Cut another 18" length and tear it in half lengthwise. 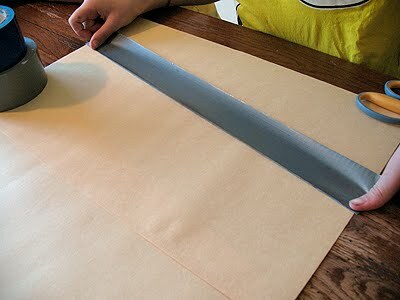 Set aside one half and use the other half to create a smooth top seam on your long strip of tape. Using a credit card or gift card as a measuring guide, Cut the length of tape into "credit card pockets", leaving about 1/4" on each side of the card. Cut a piece of tape about 4" long and tear it in half lengthwise. Press the tape up the center, covering the pockets. 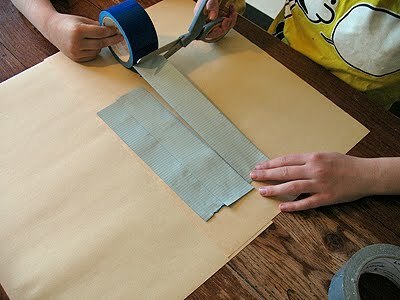 Fold the end of the tape over only one layer, you don't want to tape your money pocket shut! Tuck it inside the wallet. That's it! 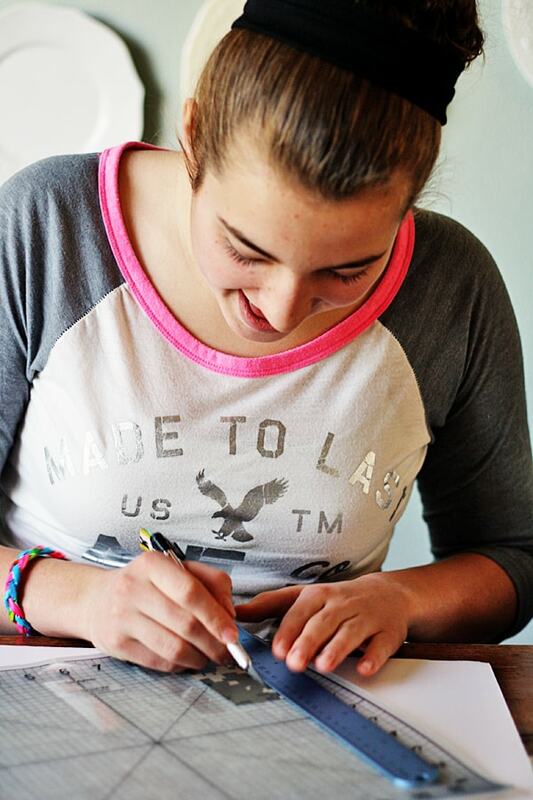 You just made a wallet completely out of duct tape (or Duck tape, whichever you chose to use)! 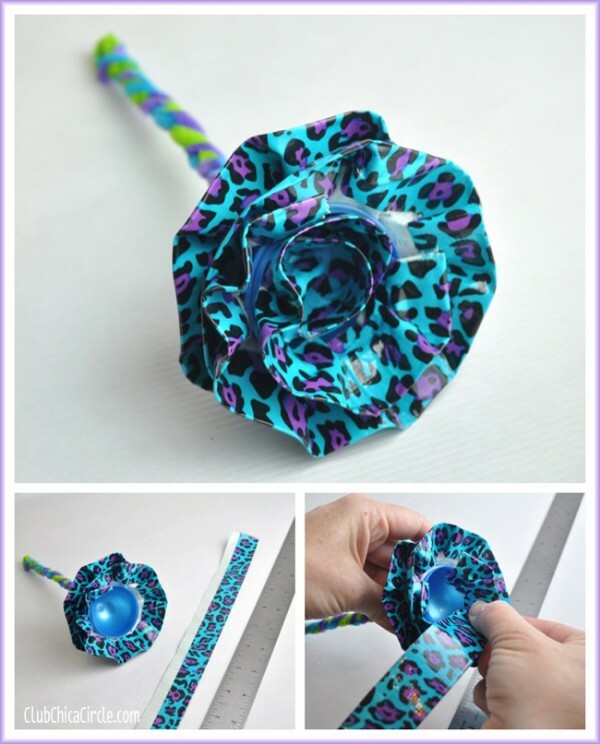 Pauline shows you how to recycle some plastic eggs from Easter to make these fun duct tape roses! 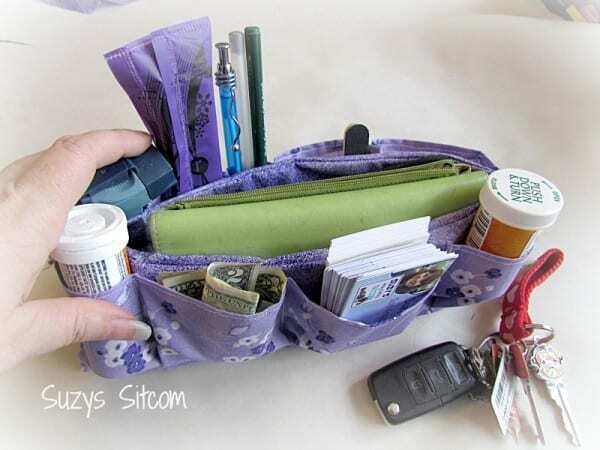 If you’d like to try a sewing project, my friend Suzy will show you how to make this DIY purse organizer! Great tutorial. 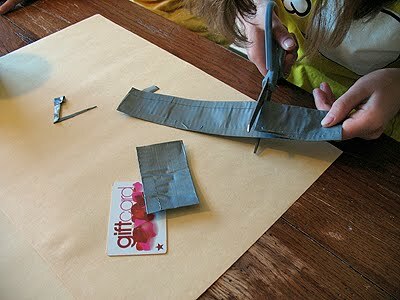 I’ve already made a duct tape flower, and now I’m adding this wallet to the list! 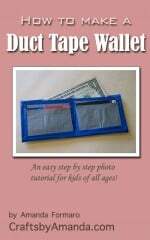 Do you think you could have a tutorial on the duct tape wallet with 4 areas for cards, money, and an ID card? Thanks! I’ll see what I can do May, thanks!